There are many ways to build an online store in 2016 but one of the most popular ways to build an online store today is to build it using WordPress. WordPress is an open source content management system or website software that allows you to create websites quickly and easily. Based on 2015 statistics, there are more than 75 million websites that run on WordPress, and that number grows everyday. WordPress as a platform has so many advantages. It’s easy to setup and manage. It has massive community support; with hundreds of developers who are always creating new theme designs and plugins to expand the core feature set. With the massive growth in the popularity of WordPress as a content management system, it was a natural that at some point it’s feature set would grow to include e-Commerce. In Septempber 2011, a theme design company called Woo Themes created their own e-commerce plugin, and WooCommerce was born. 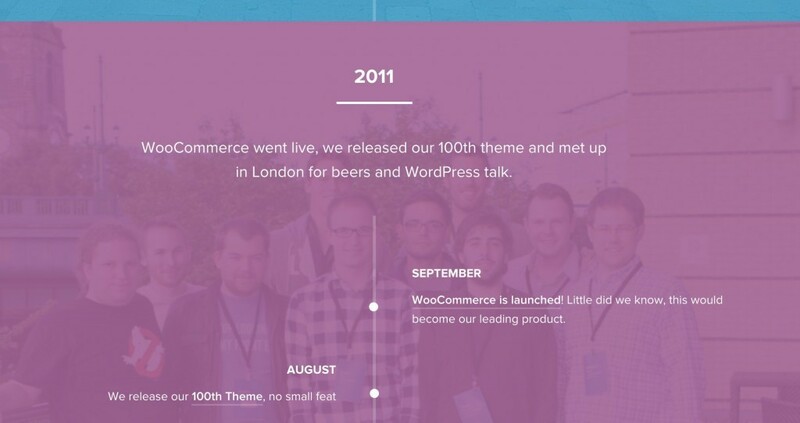 With the backing of their large community of designers, developers and customers, WooCommerce quickly grew to be the most popular e-commerce solution for WordPress. It now runs 30% of online stores and has over 1 million downloads. Developers started to create extensions and add-ons based on its core functions and design custom e-commerce themes. Once you have a dominant position in the market, their solution quickly became the de facto e-commerce standard. As of now there are currently documented 380,000 online retailers who use a WordPress + Woocommerce setup. The first step in creating an e-commerce website is purchasing a memorable domain. This can be a challenge given many .com domain names are taken. Remember if you can’t get the top level domain for your country or the .com, there are many other top level domains that might be just as suitable. A good example is .co which has become very popular. Search for available domains here. Website hosting is typically the last thing new site owners think about. Most people opt for the $5 a month hosting packages, not realising that their websites all sit on shared hosting with many thousands of sites. When something goes wrong, as it inevitably does, then you may not get the attention you deserve. Shared hosting can also be low performing regarding site speed. Slow web page load times are a Google ranking factor, not to mention the impact that page load times have on the user experience. (This isn’t true if you use a quality shared hosting provider like ireckonhosting.com). A good analogy is to compare your website hosting to the rent that you pay for your office space. You would never think of scrimping and fighting to pay a pittance for your rent. So why do it for your hosting, when the cost of getting decent quality, secure hosting is not much more than a cup of coffee a week. There are two ways to install WordPress CMS. Many hosting companies out there usually have their own installer via their control panel, and others now automatically install it for you if you choose that option. You simply choose WordPress and it will automatically install itself in minutes! You can download the WordPress files from https://wordpress.org/download/ for free. To manually install WordPress you will need to use an FTP file management platform like Filezilla. Run and Finish the Install Script. You can view the full install instruction at https://codex.wordpress.org/Installing_WordPress. If budget is a constraint, you can find a Woocommerce compatible WordPress theme for your site.. There are free ones available, but the better designs cost anywhere from USD$50 to USD$100 and can be purchased from many online marketplaces. The most popular of which is Themeforest. If you are an established or more experience business person, then your needs may require a custom WordPress design to suit your brand. Custom designs can cost anywhere from $1,000 to many thousands of dollars. The process of creating a custom design can be challenging but using a reputable design team (or individual) will help solve most issues..
It’s critical that you are aware that regardless of how a theme design looks, it’s important to try to find one that is well coded, secure, and quick to load. Some theme designers try to cram every bit of functionality into a theme to sell it in the marketplace, not realising that many of these so-called enhancements can result in a bloated, slow loading website. Now that WordPress is installed you need to add e-commerce functionality by installing WooCommerce. WooCommerce is Free to download at https://www.woothemes.com/woocommerce/download/, but the addons from its developers Woothemes and third party developers usually come with a reasonable price tag. Now you are ready to start promoting and selling products on your website.